Full of elegance, romance and historic charm, we look at the reasons why you should host your wedding in a historic castle venue. A place that once frequented kings, queens, ladies and lords, a castle venue offers the very best in service, cuisine and attention to detail making you feel like royalty on your special day. Castles are also the perfect choice if you love grand entrances and impressive reception rooms, exuding elegance and glamour. 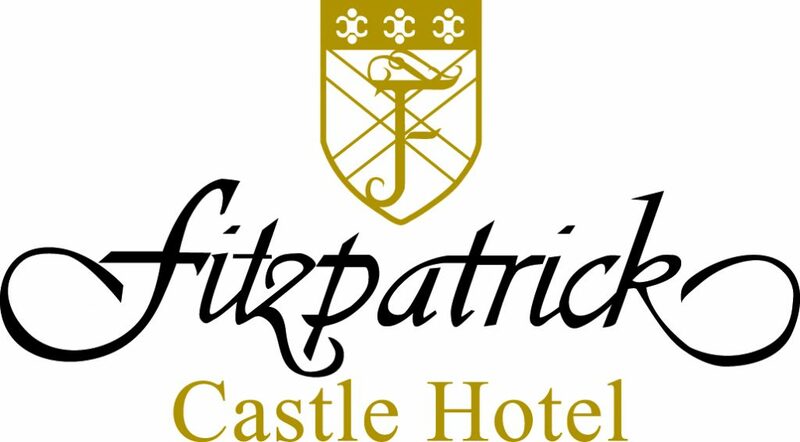 At the Fitzpatrick Castle Hotel in Co. Dublin, their experienced and dedicated team are devoted to providing you with all the inspiration, care and attention you deserve for your special day. Transport your guests back in time and wow them with a castle venue rich in history and heritage, creating memories that will last a lifetime. The original building at Fitzpatrick Castle Hotel dates back to 1741 and this four star 18th century hotel is steeped in history, which adds to the magical and majestic atmosphere of your wedding day. Castles are by nature, private and secluded places, so what better place to celebrate your big day than an intimate and exclusive castle. Exclusivity is often of great importance to a bride and groom, where they want to enjoy their wedding celebrations in the company of their closest family and friends. 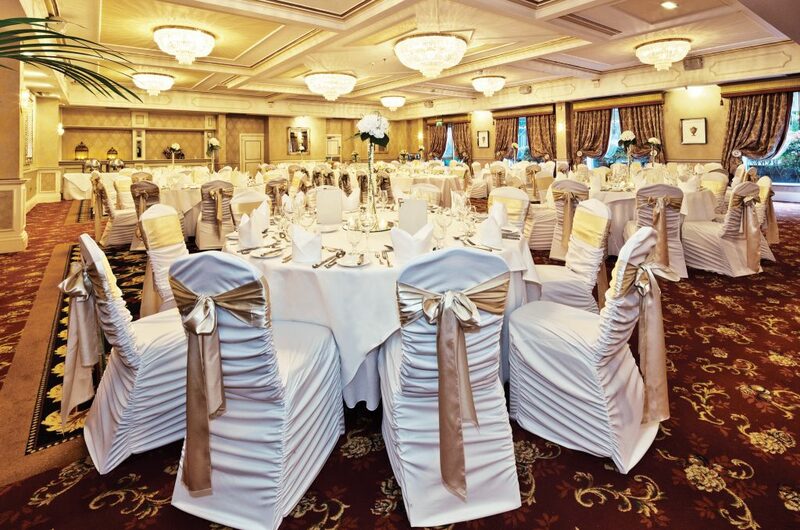 The Fitzpatrick Castle Hotel offers just that – where you can avail of their one wedding per day policy. A castle is the ultimate backdrop for stunning wedding photographs, often set amidst beautifully landscaped gardens and grounds. 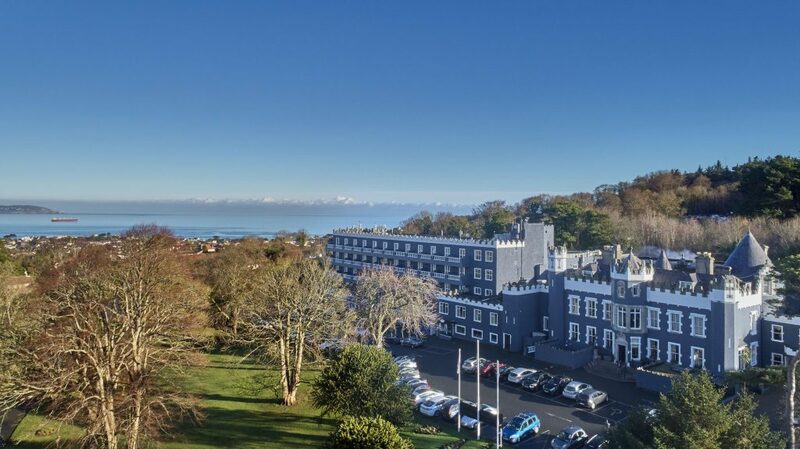 The Fitzpatrick Castle hotel is perfectly situated on the south Dublin coast, it is the only Irish castle hotel located in the fashionable suburbs of Killiney and set in breath-taking surroundings that overlook beautiful Dublin Bay- making for incredible photographic opportunities. From moats, to drawbridges, forests, flower gardens and acres of countryside you really can’t beat the grounds of a castle! From sparkling chandeliers, to deep wood furnishings, tapestries and roaring fireplaces, castles are home to some of the most spectacular interiors that make for fantastic photo opportunities. 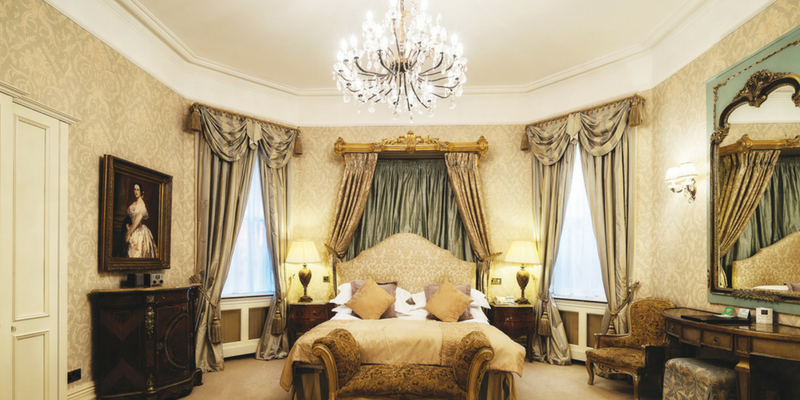 At the Fitzpatrick Castle Hotel, you will discover gold damask fabric, gilded Queen Anne chairs, stand-alone baths, blazing fireplaces and exquisite attention to detail, which ensures a romantic luxurious theme across the Castle. The interiors have been thoughtfully decorated to create the perfect blend of classic charm and contemporary elegance.